​Complete your Open Water Diver Course with our PADI instructor. This course will provide you the basic knowledge and skills you will need to safely visit the underwater world. On completion, you will be certified to dive anywhere in the world. Included in this course is all learning materials and your world wide certification, log book, your confined water training and pool entry. ​To complete the course you will need to also complete an additional 4 open water dives. Light lunch and non alcoholic beverages are included during your open water dives. 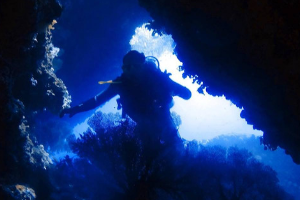 Come and explore the underwater world with our PADI instructor, you can even upgrade to include Moreton Island Wrecks and/or Julian Rocks as part of your certification experience. 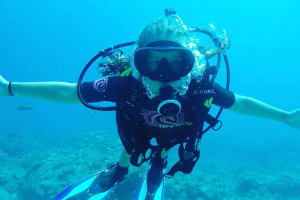 Complete your Advanced Open Water Diver Course with our PADI Instructor. An exciting course designed to develop diving skills and make all your diving safer and more enjoyable. Included in this course is 5 open water training dives. One deep and one navigation, the remaining 3 is up to you. You can choose from drift, wreck, underwater photography and videography, fish identification, boat diving, multilevel and computer diving, night diving, peak performance buoyancy, search and recovery, underwater naturalist, underwater navigator, we also offer an Enriched Air course. 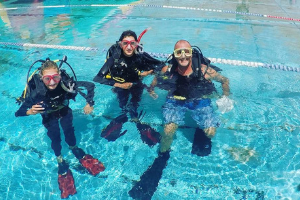 Training with our PADI Instructor, all dive equipment, learning materials and certifications, return transfers to dive sites, lunch and non alcoholic beverages are included. 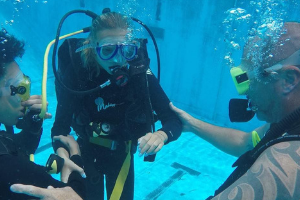 Complete your Rescue Course with our PADI Instructor. Scuba divers describe the Rescue Diver course as the most challenging, yet most rewarding course they’ve ever taken. Why? Because you learn to prevent and manage problems in the water, and become more confident in your skills as a diver, knowing that you can help others if needed. During the course, you learn to become a better buddy by practicing problem solving skills until they become second nature. Plus, the course is just fun – it’s serious, but still allows for lots of laughter in between the focused learning. 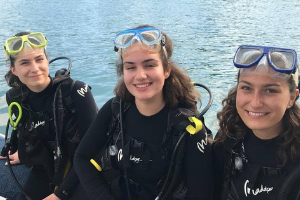 Junior Adventure Divers who are at least 12 years old and have completed the Underwater Navigation Adventure Dive may enroll in a Rescue Diver course. You also need to have Emergency First Response Primary & Secondary Care (CPR and First Aid) training within the past 24 months. You can complete this training during the Rescue Diver course with our PADI Instructor. 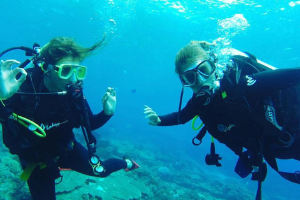 "A fantastic experience of doing the open water dive course, plus incredible diving. Steve is so passionate about diving and just wants everyone to love it and have as much fun as he does!! ... Sara couldn’t do enough to help. Just a fantastic experience. Rick and I loved the weekend and will be back. Thanks heaps guys."